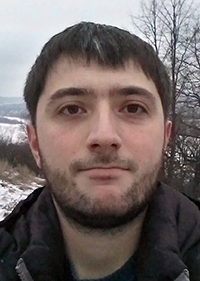 Sergey Slyadnev graduated from the Faculty of Computational Mathematics and Cybernetics of Nizhny Novgorod State University named after Lobachevsky, specialty — Applied Mathematics and Computer Science. By a happy coincidence he joined OPEN CASCADE company in 2008 and has been working there ever since. His professional interests lie in the domain of numerical methods and geometric modeling. Married, has two children. Today the market of science-intensive software proposes a big number of open source products possessing a proven high quality and widely recognized for showing good results. In this article we make a brief overview of Open CASCADE Technology (OCCT) capacities not going deeply into details and focusing only on the basic platform components. This overview will give you an initial understanding of the platform and its possible application domains. OCCT provides a wide range of functionalities for the development of engineering software. Moreover, this library is accessible under LGPL license which means that there are practically no restrictions against its commercial use. First and foremost Open CASCADE Technology SDK is a geometric modeling library or, more simply, it is a geometrical kernel. 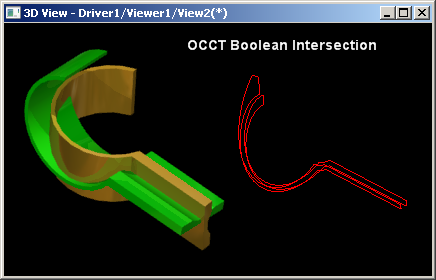 OCCT uses a BRep (Boundary Representation) approach to represent 3D models. This ranks the library together with such products as ACIS, Parasolid, CGM, C3D and RGK. The main difference is that the OCCT source code is completely at the developer's disposal, which makes him considerably independent from the supplier company (which is a service company ready to help its clients to resolving different kinds of engineering problems). 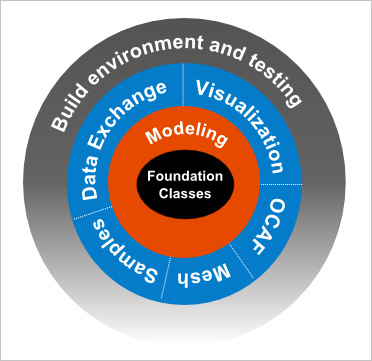 Foundation Classes: the fundamental OCCT toolkit, including "smart pointers", collections and other tools providing the library infrastructure. Mesh: built-in tools for triangulation of CAD-models. 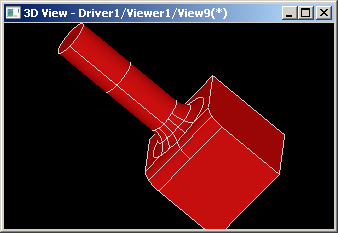 As a rule, this functionality is used for 3D visualization. 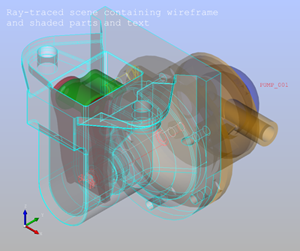 Data Exchange: components for data interoperability between different CAD software. Visualization: an integrated visualization subsystem for CAD models, grids and arbitrary application data. Application Framework (OCAF): components for rapid application development using OCCT. Figure 1. Components of Open CASCADE Technology. The kernel is supported and developed by a company bearing the same name: OPEN CASCADE S.A.S. Its front-office is located in France. In Russia the company is represented with a big competence center located in the city of Nizhny Novgorod. 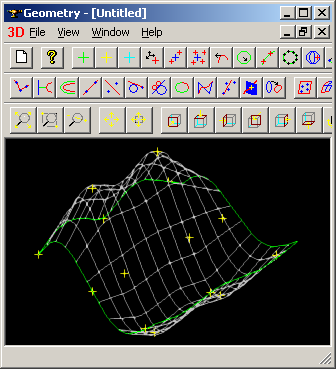 Historically OCCT inherits its mathematical kernel from EUCLID CAD system, developed by Matra Datavision Company since the beginning of 1980-s. A platform called CAS.CADE (Computer Aided Software for Computer Aided Design and Engineering) was released in 1993. It served as a basis for the development of a new generation of EUCLID called the EUCLID QUANTUM system, which was officially released in 1996. However a few years later (in 1998) Matra Datavision Company changed its business model and focused on providing software services. In 1999 the management of Matra Datavision made a historical decision to open the source code of CAS.CADE library, which was then called Open CASCADE. At the end of year 2000 Matra Datavision created an affiliated company called OPEN CASCADE S.A.S. to provide support and services based on the new geometrical kernel. In 2003 Matra Datavision was purchased by IBM Corporation, while OPEN CASCADE S.A.S. was acquired by another French company: Principia. You can read more about the company history on the official company web-site. OPEN CASCADE S.A.S. Company has been making great efforts to promote its OCCT kernel over the last years. This open-source product was released a long time ago, so naturally it has a community of users. Now any interested person can participate in its development after filling out a registration form on the developers' portal where OCCT official bug-tracker and GIT-repository are located. 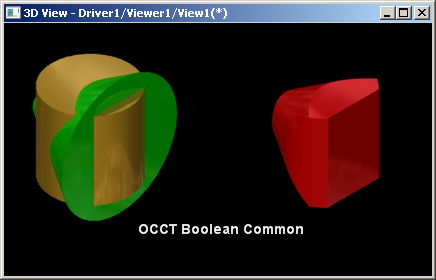 As we have mentioned above, OCCT platform implements a boundary representation (BRep) of objects in 3D. The notions of geometry and topology are fundamental for such representation. Thus the geometry is usually understood as a mathematical description of a shape, e.g. in terms of Bezier curves and surfaces, NURBS representation, etc. In its turn, the topology is a data structure binding geometrical objects together. Speaking abstractly, we could draw an analogy between BRep topology and classic topology in the mathematical sense. As it is known, mathematical topology studies homeomorphisms, i.e. transformations without cutting and gluing. From this point of view, a torus (Figure 2 to the left) is identical to a coffee cup (the reader with a good imagination can recognize it in Figure 2 to the right). The same is true for a BRep topology: data structures that describe a torus and a cup can be totally identical. The whole difference consists in the geometry. Figure 2. Torus modification without changing its topological structures. The same topological structure can fit equally well to visually different models. From the programmer's viewpoint topology is a graph of objects representing adjacent vertices and edges for neighbor faces. Figure. 3. Possible topological structure of a "patchwork" torus from Figure 2. The structure of OCCT geometrical and topological primitives generally corresponds to ISO-10303 (STEP) standard. It is mostly useful to check part 42 — "Integrated generic resource: Geometric and topological representation". Anyway, grasping the idea that a CAD-model is rather a "patchwork" than a simple object is absolutely necessary to work with a BRep representation. BRep principles are rather standard and are not peculiar exclusively to OCCT. Only the set of used topological primitives changes from one kernel to another, while such objects as faces, edges and vertices are always present (exactly these objects get connected with geometric primitives, while all others play a purely structural role). It needs to be noted that, apart from BRep, other representation techniques for CAD modeling are known and actually used: faceted shells, voxels, cellular structures, CSG (Constructive Solid Geometry) etc. However, all of them are very application-specific and are used only within a limited range of tasks (for example, voxels are successfully used in parallel processing). A precise BRep-model is "better" than a discrete one to the effect that it can always be converted into both, voxels and 3D meshes of required quality. The reverse task (obtaining a precise model from a discrete one) is not trivial as a rule and poses many difficulties. The main one is the fact that geometry and topology can be reconstructed in infinite number of ways. That is why 3D modeling tasks require a somewhat "ideal" object representation corresponding to its actual or designed form. As for a discrete model, its nature is usually determined by a specific task. For example, in CAE field engineers often need to observe some limitations on the shape of finite elements (FEA) and those limitations may vary depending on the solver (for example, hydrodynamic solvers can be sensitive to the features of a discrete model that are not taken into account when structural analysis is performed and vice versa). 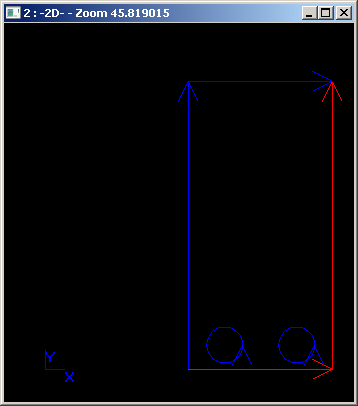 OCCT geometry is defined in a standard parametric form. It is commonly known that NURBS is the most common approach to the description of a geometric form. 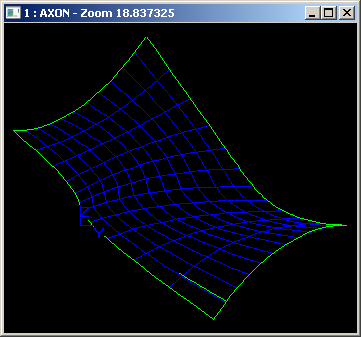 Alongside with it, OCCT platform implements surfaces of revolution, ruled surfaces, curves, сonics and quadrics, etc. Currently OCCT supports the entire usual set of geometries, except for such technologies as T-splines and subdivision surfaces. Figure 4. B-spline surface in OCCT. Geometry is trimmed and structured using topological limitations. It can be seen how the parametric domain of each face changes in the process. The "parametric domain" means a (U, V) space, where the face of interest, complemented with parametric 2D curves (p-curves) is defined. The configuration and orientation of these curves indicates how the edges are defined on the face and where the holes are located. Figure 5. Parametric domain of a face with internal holes. After this brief overview of the basic BRep principles, we will examine the fundamental OCCT capacities related to CAD engineering field. For more details of available functions please consult the official documentation or check the sample applications supplied with OCCT. 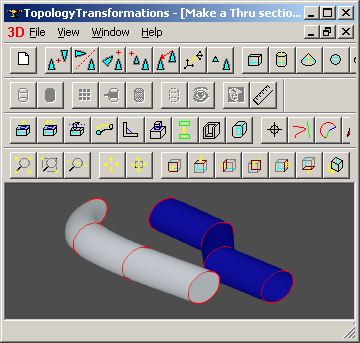 OCCT supports a toolset to reconstruct the surface geometry from an ordered set of points. This procedure can involve the global interpolation methods (if the resulting precision should be equal to zero) or the approximation methods with a given precision. Figure 6. NURBS-surface, reconstructed from a cloud of points. 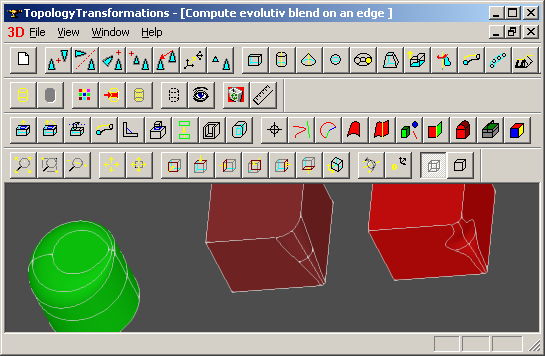 Reconstructing a shape from a given set of sections is a standard geometric modeling task. 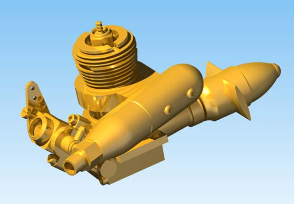 OCCT provides means for both, surface skinning and for solid reconstruction with automatic recovery of end faces. Figure 7. Model constructed by sections. Sweeping a profile along a given trajectory (spine) allows building tubes of arbitrary shape and section. The profile orientation along the spine is defined by the user. Figure 8. Tube constructed by sweeping of a round profile. Cut, fuse, common, intersection of shapes and surfaces — all these fundamental algorithms are implemented in OCCT and have been successfully tested on many real industrial models. Figure 9. Cutting a prism from a revolution. Figure 12. Intersection of shells. Chamfers and fillets are also available in OCCT. Fillets with a variable radius are supported as well. Figure 13. Fillets on edges. Figure 14. Fillets with a variable radius. The most exhaustive description of OCCT modeling capabilities is provided by its open documentation. 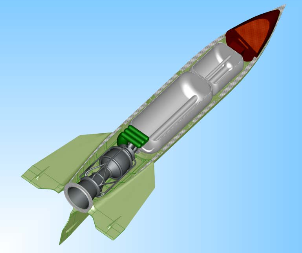 We can only remark that the existing functions provide solutions to a widest range of CAD tasks. Open CASCADE Technology provides advanced tools for CAD data exchange. It supports such common formats as STEP, IGES, STL and VRML. The correctness of data transfer using STEP format is ensured not only by a profound experience of using that translator in industrial projects, but also by the fact that the development team took part in a ProSTEP "test-rally" (in 1998-1999, TR 8-10), and later in CAX-IF (in 2000-2002, TRJ 3-10). Data translators allow working not only with geometric information, but also with some associated attributes. 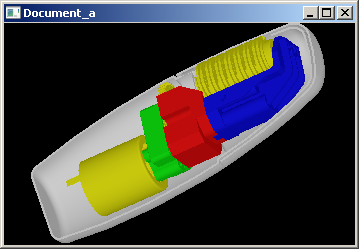 For example, Open CASCADE Technology is able to read component colors and names, their nesting in assemblies, layers and some other properties from STEP format. Figure 15. A STEP file with colors read by Open CASCADE Technology. 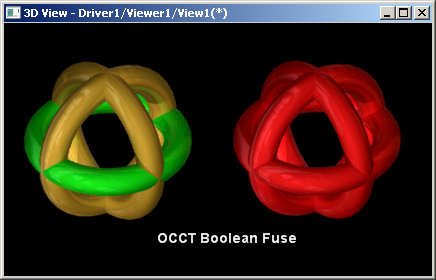 Open CASCADE Technology platform is supplied with its custom visualization subsystem based on OpenGL. The subsystem not only allows working efficiently with geometric resources of the library, but it also supports implementation of interactive 3D scenes in real CAD applications. Figure 16. 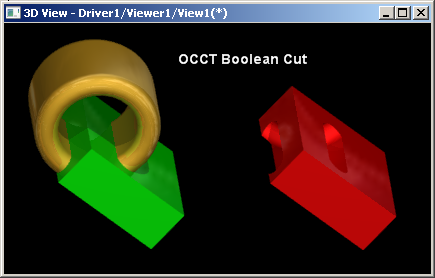 Dynamic section by means of OpenGL. Figure 17. Visualization by ray tracing method (real-time FPS). Figure 18. Visualization of a pump model by ray tracing combining shading and wireframe. At our disposal we have either low-level tools working with basic geometry and topology (NURBS visualization with control points and knots, rendering of isolines to estimate the speed and quality of parameterization, rendering of a parametric domain of faces) or high-level tools for real time quality rendering of models using ray tracing (including shades, reflections, transparency, antialiasing, etc.). It seems that currently this part of the library develops most rapidly. It is well understood that the functions related to geometric modeling should be as reliable as possible. Of course, no software is flawless, so testing is really important. Despite about 16000 test scenarios, bugs are regularly found in Open CASCADE Technology (which is inevitable). It should be noted that OCCT is a "live" product developed through coordinated efforts of several internal expert groups, modeling being the most important one. Figure 19 shows the chart of improvements implemented in the latest versions of OCCT platform grouped by their functional domain. It can be clearly seen that most corrections and improvements belong to geometrical modeling, which is the most technically complex and knowledge-intensive part of the library. This means that even after the extinction of EUCLID, OCCT platform steadily develops and expands its geometrical functionalities and their reliability. Figure 19. Corrections and improvements in OCCT for the last three years (versions 6.5.1, 6.5.2, 6.5.3, 6.5.4, 6.5.5, 6.6.0, 6.7.0 and 6.7.1). Open CASCADE Technology is an absolutely open product that can greatly contribute to your capacities to develop high-tech software. It is remarkable that this library can be applied even in domains outside of CAD/CAM/CAE fields. A sophisticated mathematical kernel, a visualization subsystem and components for fast prototyping of applications (OCAF) can be useful not only for the developers of industrial level software, but also for the teaching and research staff as a mathematical "ecosystem" for scientific projects. It is impossible to describe all available OCCT functionalities in one short introductory article, so we invite our readers to proceed to the official developers' site. Take part in OCCT development with us and your creative input will become available to the engineering community of the entire world! The text of the article belongs to OPEN CASCADE S.A.S. and cannot be cited, modified, reprinted or copied in whole or in part without written consent of OPEN CASCADE SAS.